This guide will help you fix the strange looking thumbnails from your pages. The regeneration process requires the installation of GD library for php on the server for image processing. Please make sure that you have it installed and enabled on your server before regenerating thumbnails. This problem appears when you install the theme on a site that already has content. 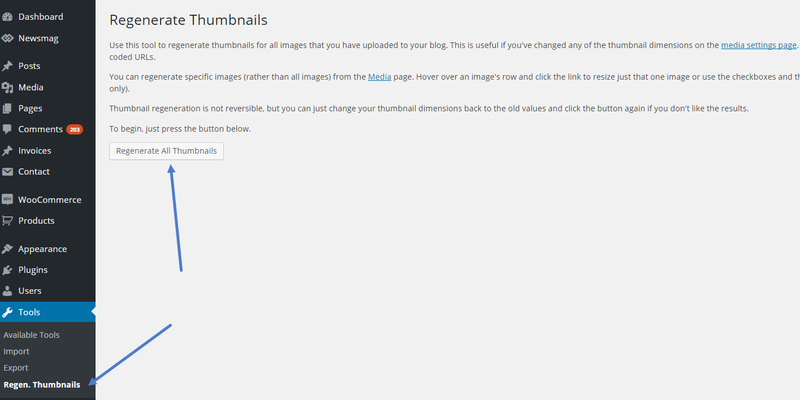 The theme comes with it’s own thumbnails to minimize the page size and increase the page loading speed. 1. Install and activate the Thumbnail Regenerate plugin from here. 3. Wait until the regeneration process is 100% done and check the page.